I have a lot of favourite movies, but there are four that I have seen a little more than others. These five I used to have on VHS and I watched them over and over. So, I would like to recommend them to you. They are really good. 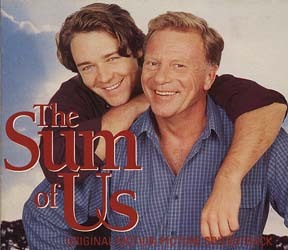 In The sum of us from 1994 we see a young Russel Crowe as Jeff who tries to date in peace of his extremely supportive father Harry (Jack Thompson). Maybe a little bit too supportive... But yet so adorable! Russel Crowe & John Polson. He meets Greg (John Polson) who seems to be something special but things doesn't really turn out as he thought. I don't want to spoil it all. But the ending is filled with hope and it's a real feelgood-movie that makes you warm inside. And also, Russel Crowe is so young and pure. Kevin McKidd & James Purefoy. But then he meets the tall, dark and mysterious Irishman (at least I think he is tall and Irishman) called Brendan (recognize this?) and everything turns upside down. They meet in the hilarious mens group led by the wonderful Simon Callow which makes me laugh every time! And there's another very cute couple, Darren and Jeremy (Tom Hollander and Hugo Weaving) who has at least said odd places to meet. You really should see it! This one is both beautiful and tragic at the same time. 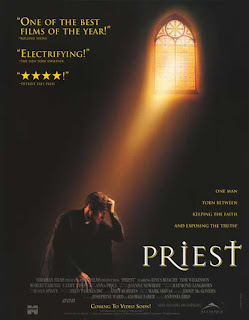 The movie Priest is about the Catholic priest Greg and his struggles. 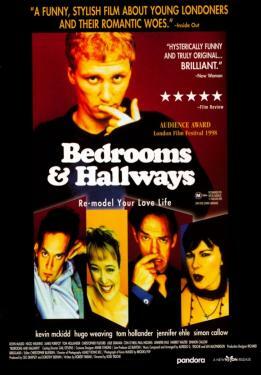 Greg is played by the wonderful Linus Roache who is just excellent and you really feel his pain.Of course he has troubles sticking to the chastity wov. 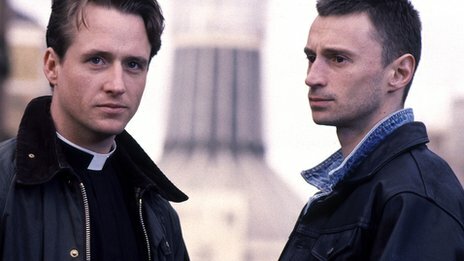 Linus Roache & Robert Carlyle. He begins some kind of relationship with Graham, played by the wonderful Linus Roache, and that gets him into trouble, of course. But he is not the only one who has a little bit on the side, his collegue Father Matthew, does it to, but with a woman. 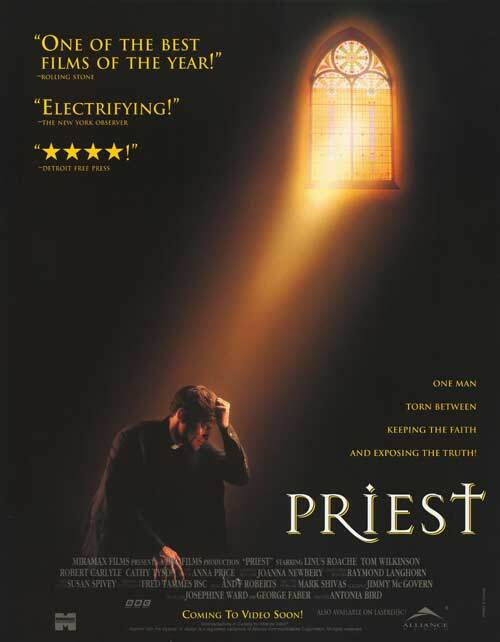 But this movie really gets you to thing about and question both the chastity wov and confidentiality duty that priests have. But it's not a movie you should watch if you already feel a bit down. I love the ending though. So powerful! Another movie packed with favourite actors! Even Simon Callow plays a small part. Maurice is about Maurice, surprisingly, played by favourite James Wilby, who is a young student who has a little something something with his best friend Clive, played by Hugh Grant. 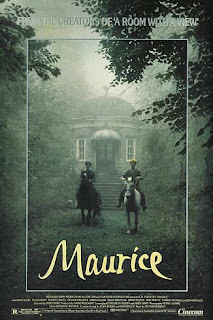 Clive is not as brave, or maybe convinced, as Maurice, therefor he get's married, to a woman of course, I men this is in the 1910's. Maurice is confused and heart broken, but there's some remedy. 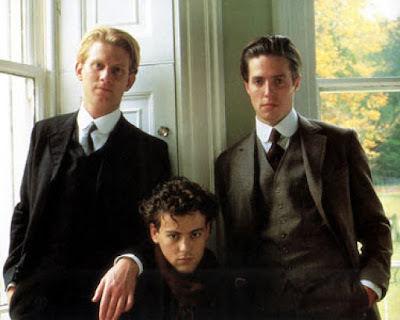 James Wilby, Rupert Graves & Hugh Grant. Alec Scudder. Oh what a handsome boy! Well, you couldn't expect more being played by a very young Rupert Graves. I love Rupert Graves! And he was so cute in the 80's! Well, Scudder is cocky and forwards and where Scudder is the actin is. He's not just a consolation prize. Just sayin'! Even though there's a lot of angst in this movie, it is a feelgood-movie. It leaves you with butterflies. Beautiful thing is about Jamie (Glen Berry) and Ste (Scott Neal) who are neighbours and goes to the same school. Nothing more. At least at first. You can imagine sparks. Scott Neal & Glen Berry. I love it! It's sweet, fun, dramatic, it just has everything! And a really good snog in the forrest! I showed it to my BF but he didn't like it and I can't understand why! I'm a little bit insulted... The movie actually is based on a play from 1993 which has been played on theathers in both the UK, Australia, USA, Canada, the Netherlands, France, Germany, China and Hong Kong. I would really love if it would be made in Sweden to! So, that was five of my favourite movies. I have a lot more. I might recommend them to. And now I really have the urge to watch those movies again! I'm super excited to see 'The Sum Of Us' and 'Priest'! I saw the rest and they're some of my favorite movies! Thank you for the recommendations!